Home Eco Friendly Guide	Drought caused by natural climate variation, not greenhouse effect! Drought caused by natural climate variation, not greenhouse effect! True, the effects of greenhouse gases are huge and widespread! But, perhaps not to the extent as seemingly being randomly concluded by scientists! 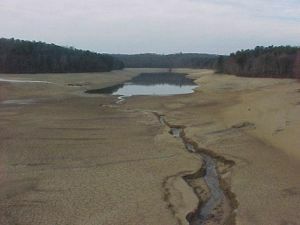 This is revealed by the fact that drought – which was previously been thought to have caused by greenhouse effects – is found to be a result of natural variation in climate! According to a new research by CSIRO, the prevailing drought patches across the world is caused by natural variation in climate and not by greenhouse effects. After studying Australia’s 10,000 years of climate variability, — Barrie Hunt, an honorary research fellow at the CSIRO’s atmospheric research centre in Melbourne – revealed about 30 drought periods, occurring at random times. It is because the length of each drought does not follow a predictable pattern! I think it’s probably a bit to early yet to say we’re having a greenhouse effect on rainfall, rainfall’s a very difficult climatic term to get to grips with. There’s definitely a greenhouse effect on temperature, I’m not sure we’re having one on rainfall yet… This drought will break and it’s important for people to say well I understand that when the drought breaks it’s not the greenhouse effect is a load of rubbish, of course it’s rained again, everyone says this thing’s due to the greenhouse effect and therefore they expect it to go on forever in a way, the naive people do. ← Whooping cranes' comeback puts Texas' crane population to a record 518 in 100 years!